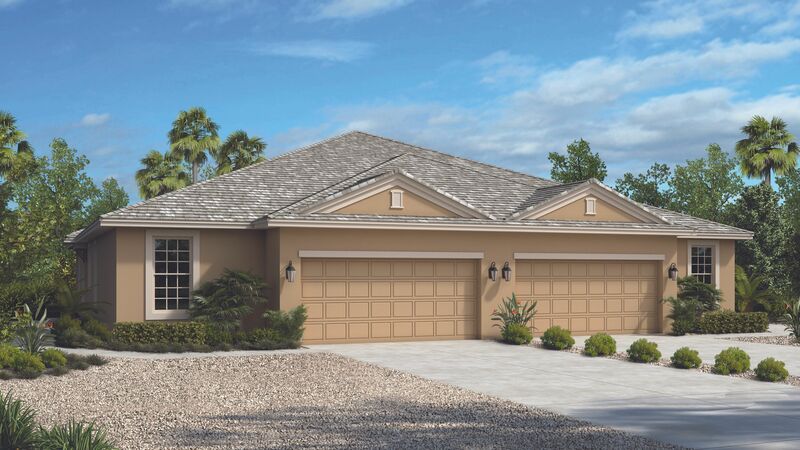 Located in the Lee West Central area of Lee County Lucaya Twin Villas offers the home you are looking for in the Southwest Florida location you desire. Built by the award-winning national homebuilder and developer Taylor Morrison, who was voted America’s Most Trusted™ Home Builder in 2016, 2017 & 2018 by Lifestory Research, this community is at the gateway to Sanibel Island in Fort Myers with the Gulf Coast and beautiful sunny weather all through the year. Lucaya’s gated and private location provides a much desired serene and secluded setting, yet is extremely well located with easy access to fine shopping, restaurants, entertainment and recreation. It’s a short drive to airports, universities, world-class cultural events, renowned fine dining, golf and famed white sand beaches. Lucaya offers two of Taylor Morrison’s well designed twin villa floor plans, the Ibis and Sandpiper, which feature beautifully appointed designer kitchens, spacious living rooms, luxurious owner's suites, and covered lanais. This community also offers an array of fabulous amenities for homeowners to relax and revitalize without leaving their home. Amenities include a large pool with spa, clubhouse with fitness center, gathering room, computer room, catering kitchen, Wi-Fi equipped library, and a children’s playground. Lock in the Savings on a New Home in Lucaya with our Rate Roll Back on a 30-Year Mortgage Want the stability of mortgage payments that will never go up? Take advantage of our Rate Roll Back and get a low rate on a 30-year fixed mortgage. It's a smart way to get the home you really want today while planning for a secure future. Act now before this offer expires. Learn more and see estimated monthly payments for your new home at Lucaya in Fort Myers, Florida.